Steven (Chicagoland, United States) on 5 January 2010 in Plant & Nature and Portfolio. 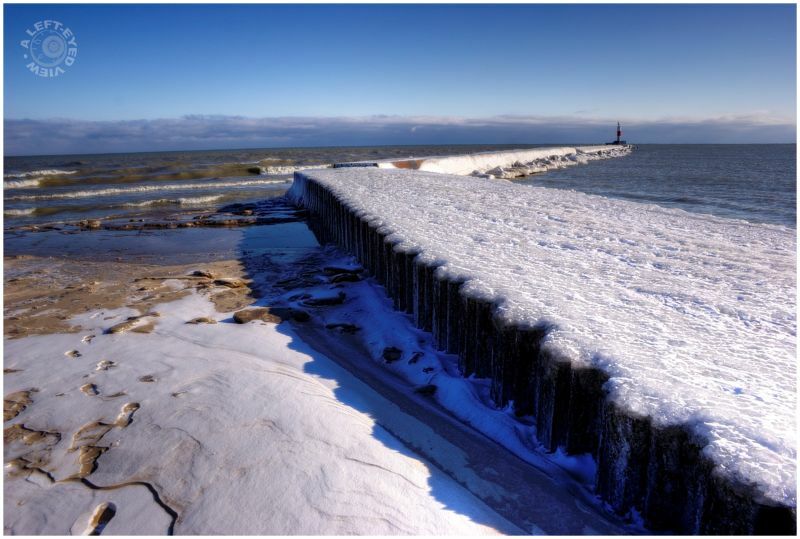 Capture of the breakwater surrounding the City of Waukegan's inner harbor that has been iced over by the crashing waves coupled with the recent extreme cold temperatures. To the left of the breakwater is the sandy beach also layered over in ice. Photo taken January 3, 2010. I first thought this was a giant structure, many metres high. Then I noticed the footsteps. :-) A very nice, icy capture! Keep yourself warm! Beautiful image of cold, well composed, bravo! A lovely icy scene. Love that lighthouse out there. I like the colour tune the shadow has created! Very nice work and I like your viewpoint looking down the pier! Very cold! Stellar composition! My traveled quickly through this exciting shot from the jetty nearby and then a sharp turn to the right to the lighthouse. Nicely done. bravo on this unique frame and pov -- the light and detail are faaabulous! Reminds me of some photos of our Meramec with an icy blanket covering. Great panoramic view!